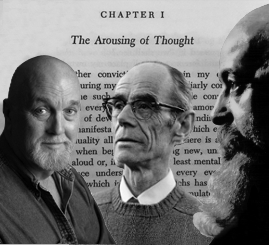 William Patrick Patterson is a leading exponent and teacher of The Fourth Way, the ancient, esoteric teaching of self-development brought to the West by G. I. Gurdjieff. Patterson was a longtime student of his seminal teacher Lord John Pentland, who was appointed by Mr. Gurdjieff in 1949 to lead the Work in America and was the president of the New York and San Francisco Gurdjieff Foundations until 1984. 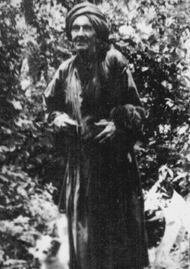 Recognizing that Gurdjieff’s repeated use of the word “self” in self-sensing, self-remembering and self-observation pointed to something higher, Patterson left New York for California where he met the rare-born Danish mystic Sunyata, the name given to Alfred Emmanuel Sorenson in 1936 by Ramana Maharshi. Recognizing Oneness from birth, Sunya said he had “nothing to teach, nothing to sell.” He lived with Patterson and his family beginning in 1982 and through his Beingness introduced Patterson directly to the experiencing of no-self. 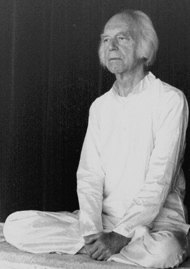 In 1984, Sunya died at the age of 94, but the previous year he had introduced Patterson to his friend Dr. Jean Klein, a Czech medical doctor and an Advaita and Kashmir Shavism master. Patterson studied with Dr. Klein until his death in 1998. William Patrick Patterson is the founder and editor-in-chief of The Gurdjieff Journal (est. 1992). Introduction to Gurdjieff’s Fourth Way, Vol. 3: What Is the Meaning of Human Life on the Planet Earth?